ESPAÑOL Corpus Christi. This religious festivity, celebrated only in countries that are primarily Catholic, as is the case with Bolivia, is one of the most popular in the country after Easter and Christmas. It is a national Holiday and no one works or goes to school. What is this celebration all about? 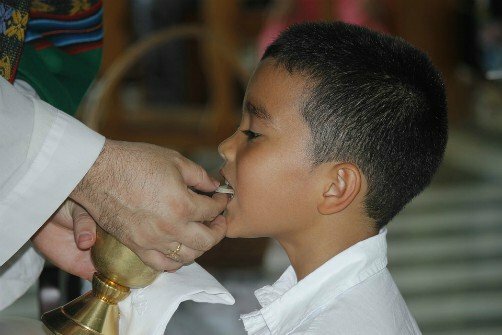 Basically, it is a church service (mass) during which people partake of the Eucharist, a liturgy during which bread (waters) and wine, are blessed and taken as the body and blood of Jesus Christ. And this is where the name originates. In Latin, Corpus Christi means “body of Christ”. 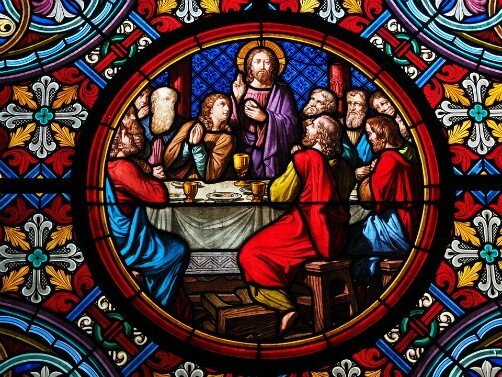 According to Catholicism, during the Last Supper, which took place on the 14th day of the month of Nisán (March-April on our current calendar), during the Jewish Easter, Jesus of Nazareth blessed bread and wine affirming that they represented his body and blood, adding that his blood would be spilled in order to redeem humanity. After this he gave them to his disciples and ordered them to do the same every year for the rest of their lives. The Church interpreted this order by installing the liturgy of the Eucharist in all Catholic masses: the priest ritually repeats the actions and words of Christ, and gives the waters to the worshippers to eat. But you might say, “this is done in all normal masses, so why the special date?” True. To explain its origins we have to go back to the 13th Century to the history of a nun called Juliana de Lieja, of the Augustian Order. She was a devout believer in the body of Christ and had visions during which, according to her, God revealed to her that it was necessary to dedicate a festivity exclusively to this ritual and that she was the person who should ensure this became a reality. She told this to the bishop of her diocese in Lieja (which at the time was a French town but now is part of Belgium), Robert de Thorete and her archdeacon, Jacques Pantaleone, who agreed to institute the celebration in the parishes under their jurisdiction as of the year 1246. The date was set as the Thursday following Pentecost and it was only celebrated among the small area of Lieja and its surroundings. In 1263, when Pantaleone had become Pope with help form the king of France, and had changed his name to Urbano IV, in the Italian city of Bolsena something strange happened: a wafer began to bleed after being blessed. The Pope ordered an investigation and decided it was a miracle. Remembering the ideas Juliana de Lieja had shared, he decided to set a special date for the Eucharist as she had wanted, but to be celebrated by all Christians. Thus, amidst the doubts of skeptics, in 1264 he issued a papal order ordering the Festival of the Holy Body and Holy Blood of Our Lord Jesus Christ to be celebrated. This long name was eventually reduced to Corpus Christi. It is the first celebration sanctioned by means of a papal order. They typical ceremonies of the occasion, such as hymns, reading the letter to the Corinthians, the octaves and ritual verses, etc. were prepared by the secretary of Urbano IV, a Dominican friar called Thomas of Aquino. Up until the doctrinal reforms that took place in the 60’s, which among other things eliminated the Latin language during masses, Corpus Christi was celebrated on two dates, the Thursday following Pentecost, as mentioned before, and on the first day of July, during a festival called the Festival of the Precious Blood of Christ, which is no longer celebrated. Later it came to be celebrated as it is today with moveable dates by country, although in Bolivia it tends to be celebrated sixty days after Easter. It is a religious holiday but remains in force despite the fact that Bolivia is officially a secular state and despite proposals to eliminate it as a holiday, or substitute it with the celebration of the Winter Solstice (the Aymara New Year). Each city celebrates in its own way due to cultural differences. For example, in the Andean region mass is mixed with the traditional ch’alla and the blessing of people’s belongings, and there are processions with the symbol of the Holy Eucharist. In Santa Cruz, however, it is celebrated with a mega public mass in the city’s largest stadium, the Tahuichi soccer stadium, and is presided over by the Cardinal and Catholic young present colorful dances.